One very popular day trip option from Geneva (seriously, I think every intern in town makes the pilgrimage at some point) is to visit Gruyeres and Broc. 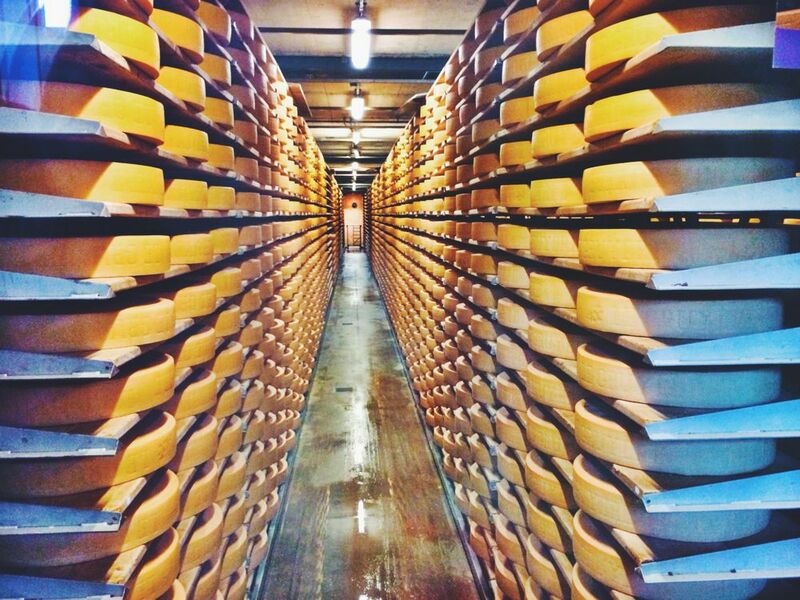 A few hours by train from Geneva, you begin in Gruyeres with its namesake cheese and then head on to Broc to tour the Cailler chocolate factory before returning “home” to Geneva. Over the course of the day, you’re almost guaranteed to feel both overwhelmed by Swiss clichés and overloaded with far too much rich chocolate and cheese. 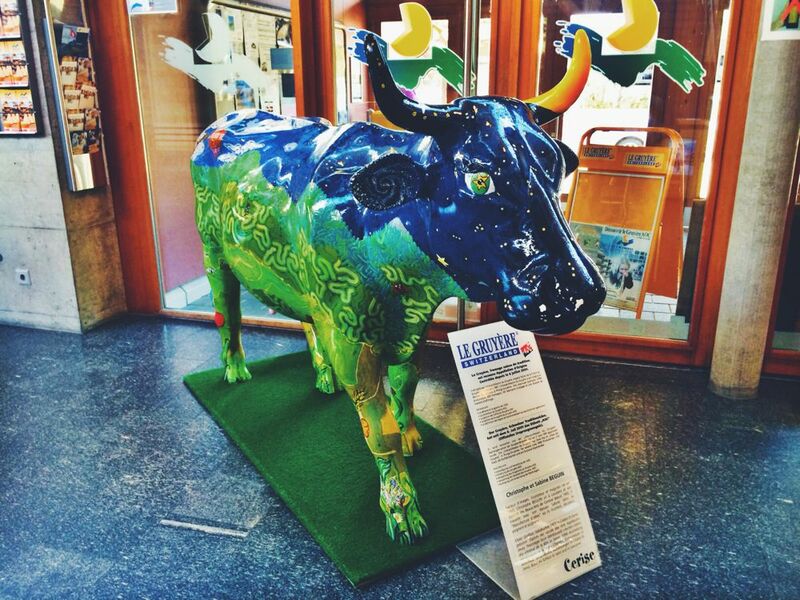 I’ll be getting to the chocolate part in a later post, but for now, I begin with the cheese in Gruyeres. 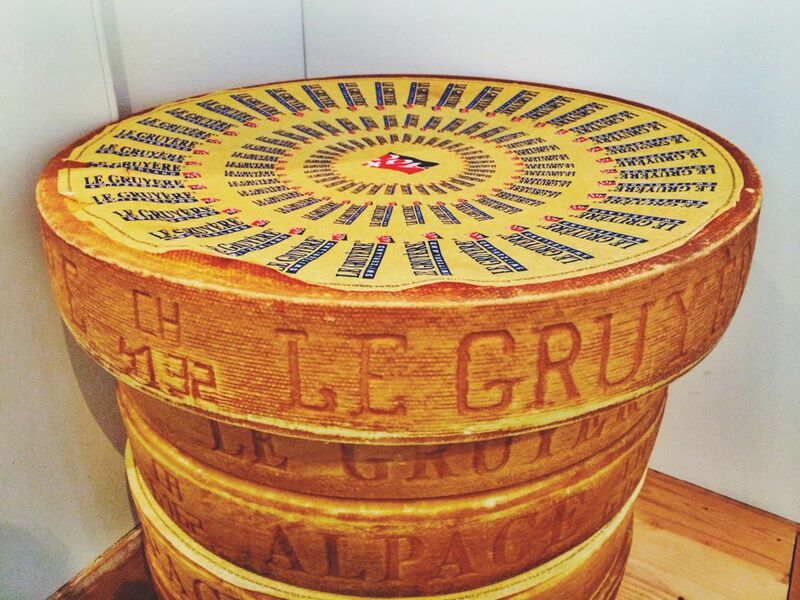 Upon arriving on the train, you literally exit the station and walk right across the street to La Maison du Gruyere, home to cheese-making, a little cheese museum, and a restaurant serving lots of – you guessed it – cheese. 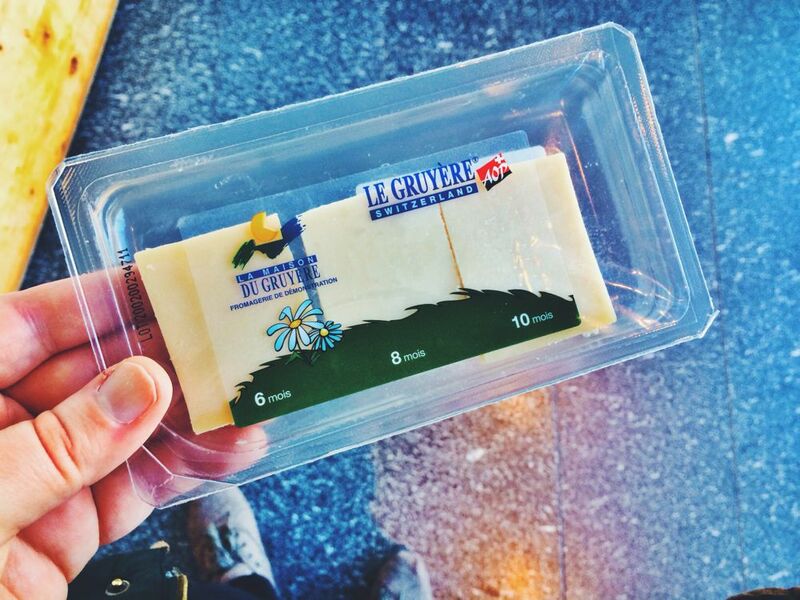 After you pay the price of admission, you receive not a paper ticket but – again, you guessed it – cheese samples. But of course. The museum is nothing to write home about, containing little displays on cheese’s ingredients and the history of cheese-making in Switzerland that are not terribly illuminating. 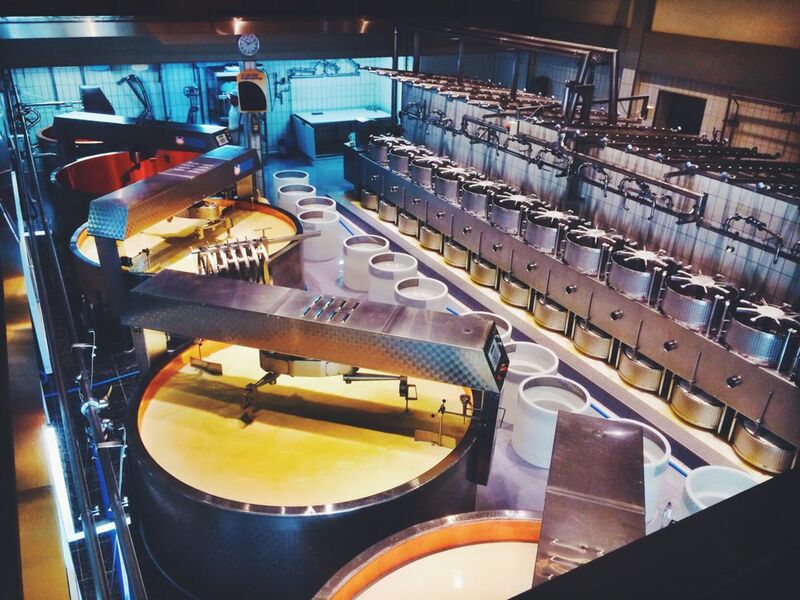 What’s cooler is the opportunity to peek in on the cheese-makers at work; you’ll see them in a fishbowl-like room that you can peer down into. After visiting the museum, make sure to stop by the adjoining restaurant for lunch. 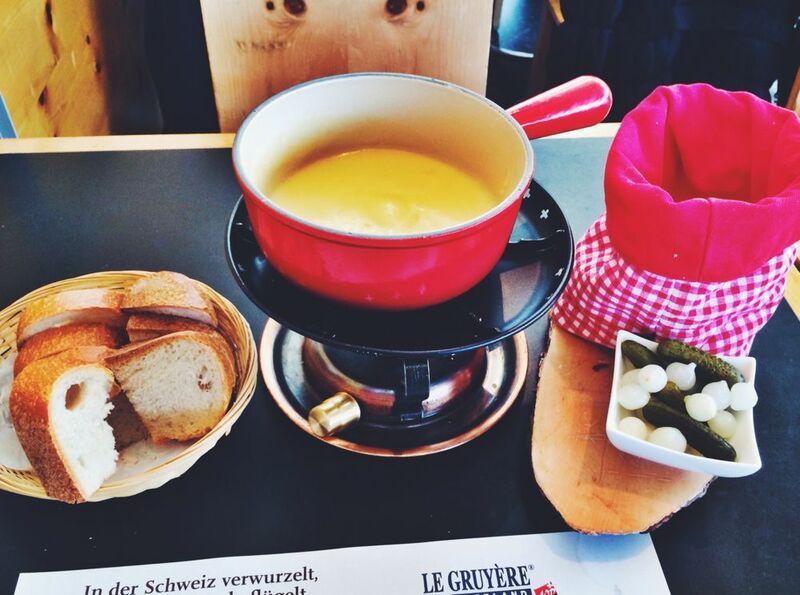 I visited Gruyeres about one and a half months into my time in Switzerland, and would you believe that this marked the first time I had eaten Swiss fondue? 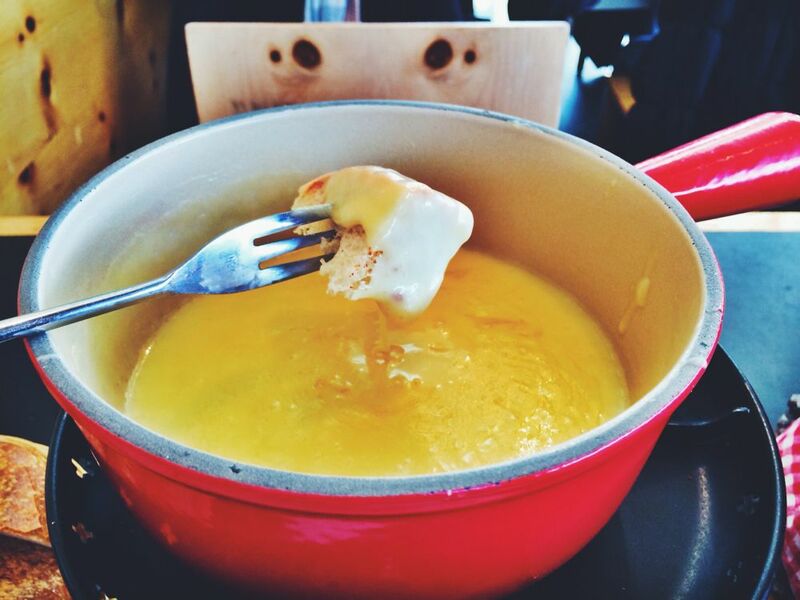 Indeed, it did – and while fondue isn’t generally my favorite food, this one was pretty damn good. My friend also claimed she ate the best risotto of her life at this restaurant, so there are lots of good options if you are looking for a cheese feast. While I cannot in good conscience label La Maison du Gruyeres a “must do,” it is definitely a worthwhile way to spend some time. The museum itself, with its cheesy silly displays, isn’t a real winner, but any place where you can acquire a wide range of cheese and cheese souvenirs and partake in some solid cheese-centric meals is not half bad. This made me so hungry for cheese! I’ve had to give up dairy (temporarily I hope) so haven’t had cheese for about 4 months and would normally eat it every day so it’s been tough!